Seriously speaking, this trip to Japan was a wild shot in the dark. Usually, people go with their teachers when they first train in Japan. Their teachers, having been there before, not only know their way around the place, the Japanese Shihan (senior teachers) also know them. So everything is fine. But I went alone. And this is my first time in Japan. I had nobody to introduce me to the Shihan, and I had to navigate the whole trip by myself. 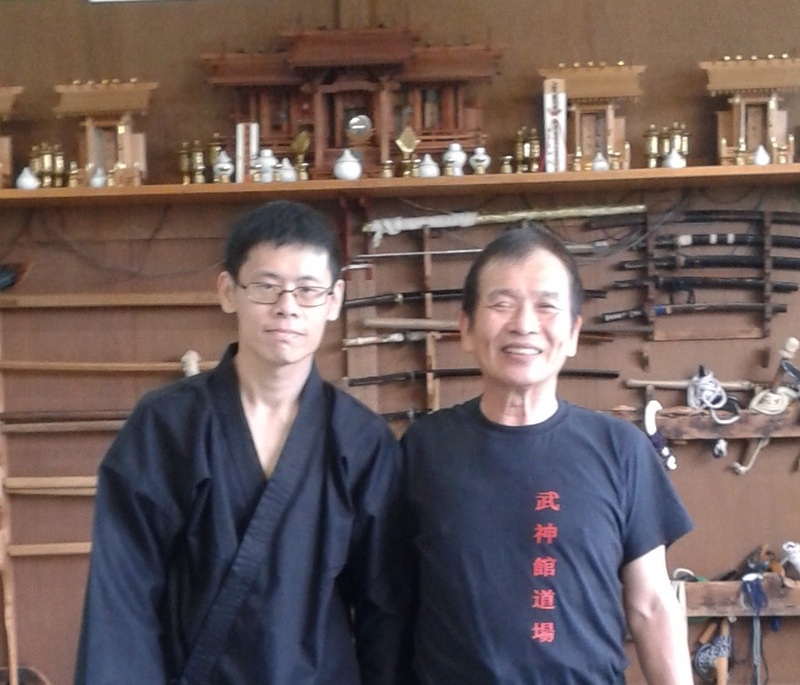 So it was a relief that the very first Shihan I met and trained with on this trip was Shiraishi-Sensei. He was friendly and welcoming, and made the effort to make me feel more comfortable. At that moment, you can tell I really needed that! I attended two of his classes at the Hombu Dojo. His overall style of movement is VERY different from mine. He would move with the feet first (step), then twist the spine, then move the hand(s). For me, I firmly believe in moving everything all at one shot. Shiraishi-Sensei, however, would break things up and yet get it to work. That was very interesting! He would also work at a very much closer distance than I am comfortable with. He often moved in to a range where both people could end up wrestling away mindlessly, and yet it wouldn’t happen for him because of his kuzushi. His kuzushi is something you must learn. He would direct the force into you in different ways, but you would still end up just BARELY off balance. And because of that he could enter into grappling range very easily and safely. He was also an overall nice guy. During one of Hatsumi Soke’s classes, he sometimes let me try the techniques on him when he saw me without a training partner at times. Bear in mind – he’s an elderly man, I’m a young, brash fellow by comparison. It would be very easy for me to injure him accidentally. But he still did that anyway. Shows you what a nice guy he is! What I remember most of his lessons were how they started. If you got to the dojo early, he would set up things and have us practicing kusari gama (sickle-and-chain) movements, throwing the chain to capture the opponent’s arm. Thinking back, it made sense. His movement was more rope-like, of course he would emphasize rope/chain techniques more. So if you stepped into the dojo just on time, you would see a few of us scattered in the place, practicing throwing loops onto targets. In other words, I travelled all the way from Singapore to Japan, and the first thing I did at Hombu Dojo was to go loopy!